This set of twins came into the studio to document their fourth birthday. 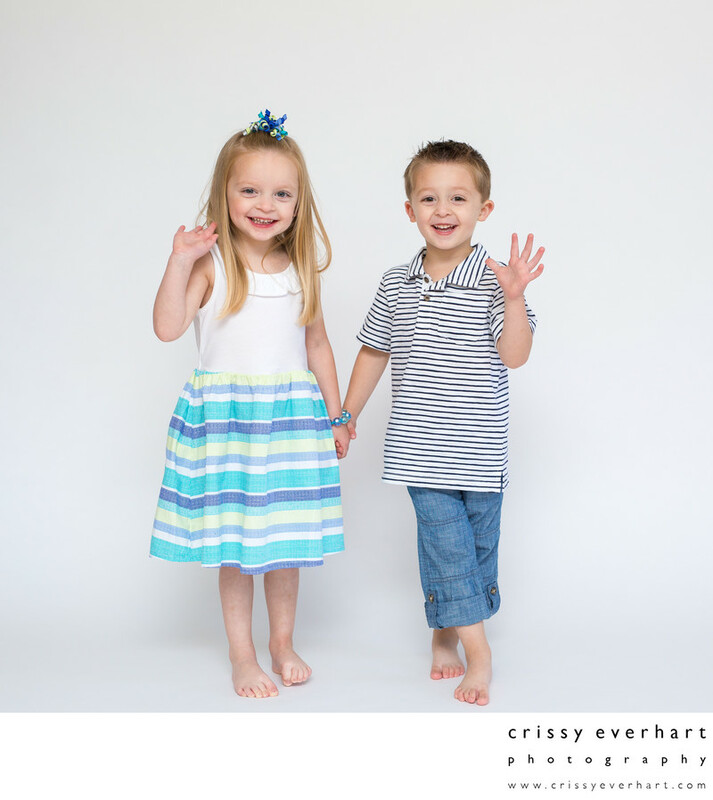 They are on a white background and are smiling and waving at the camera. Both are bare foot, how I always recommend photographing kids, and are casually dressed in white and stripes. This boy and girl are a continuous enjoyment for me to photograph as they grow each year! And they were much easier at age four than when they were at two years old, and running around like toddlers do.